News Bits! 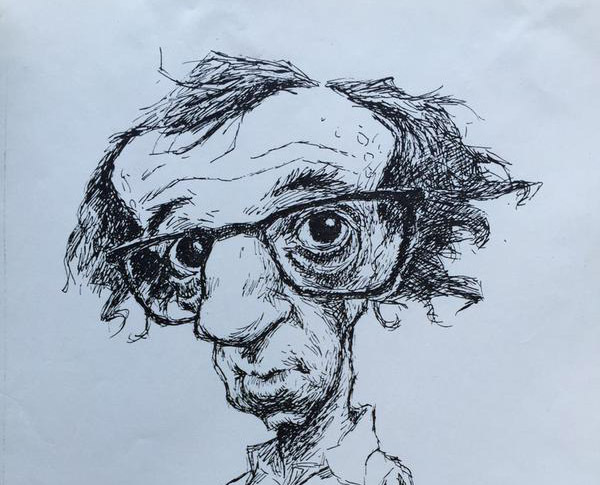 Our twice monthly round up of Woody Allen bits from around the web. Judy Davis has worked with Woody Allen many times – first in Alice, most recently in To Rome With Love and she was nominated for Best Supporting Actress at the Academy Awards for her role in Husbands And Wives. She is in the new Australian film ‘The Dressmaker‘ and she spoke to the Sydney Morning Herald about working with Allen on ‘Husbands…’. Allen mentioned Davis in his cast for his upcoming 2016 film, but Davis also claims she has no more roles planned for the moment. 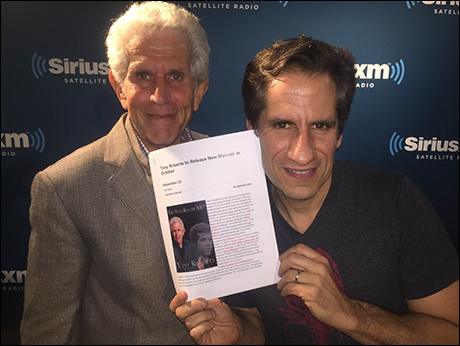 Tony Roberts is perhaps best known for his work with Allen, appearing in Annie Hall but also several others like Radio Days and Stardust Memories. You’ve probably noticed that Roberts calls Allen’s character ‘Max’ in ‘Annie Hall‘, despite his character being Alvy Singer. Turns out there’s a story behind it, and Roberts recently told it to Playbill. Tony said that one day he was walking in Manhattan and saw Woody in the distance. He yelled his name and Woody told him to ixnay. Woody explained that if Tony yells his name, which is pretty uncommon, everyone will notice and come over to him. They decided that Tony should call Woody “Max” in public. That became Woody’s nickname for a long time until one day when Woody called Tony and, for some reason, Woody asked, “Is this Max?” Tony immediately said “Yes” and thus they were both called Max. Tony loves that Woody has both characters calling each other Max in the film and doesn’t explain it. 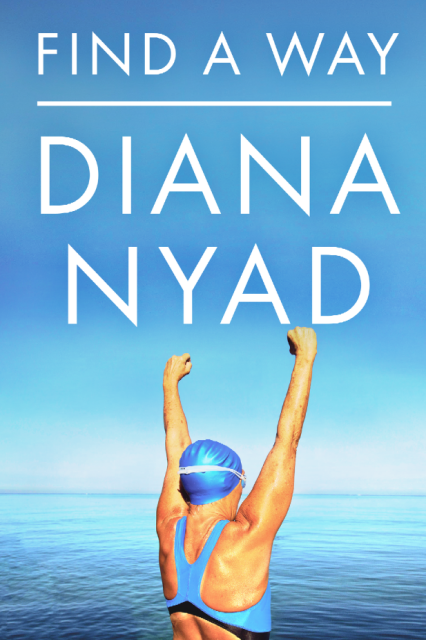 Long distance swimmer Diana Nyad has a new memoir. Called ‘Find A Away‘, in it she revealed she went on a date with Allen – and although it didn’t work out, a decades long friendship began (she talked to Time Magazine). I was a cheat. I was a liar and a cheat. Now mind you that was a different era, way before the circumstances that came up later with Mia Farrow. I had appeared on Saturday Night Live [after swimming around Manhattan] and the producer called me and said I have a friend who would love to ask you out. I knew she meant a man, so I said No, I’m not interested. She said, ‘It’s Woody Allen.’ I said ‘Tell him to call me right now.’ I was a total liar, presented myself as straight, because I was such a fan. Manhattan had just come out, and it is one of my favorite movies of all time. This is one of the great geniuses of our time and how hysterical is it that here I am in New York, how much fun would it be to go to dinner with him. And it was fun. The second night, I was totally uncool and when he told me Diane Keaton was a big fan [of mine] I was overly enthusiastic and said ‘Really? Why don’t we call her, have her over and do something with her!’ He didn’t like that. That was the first clue, and whatever the next clue was, he went and opened the door and ushered me off. He was pretty pissed off, and I don’t blame him. I was young — I was a jerk. Not to much longer after that, I lived in the Upper West [side of Manhattan] and he became a friend. I went to Thanksgiving dinner at his house several times, played tennis with him. He gave me money, which I paid back — I think it was $20,000 or $40,000 for the Cuba swim in 1978. He was a buddy. I can’t comment on what happened later, but I still write him notes and comments on the films he makes. 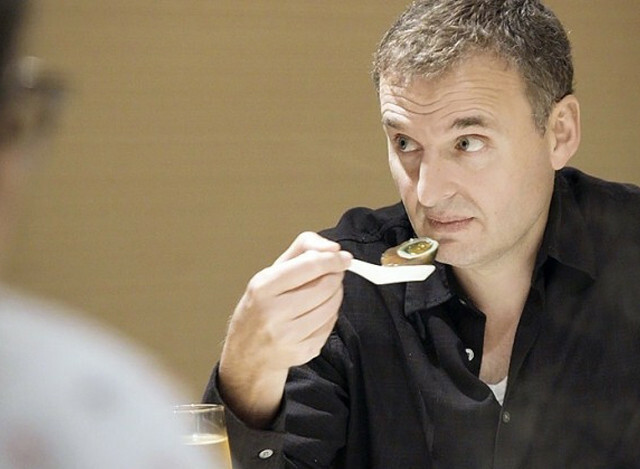 Phil Rosenthal was a co-creator of one of the most successful sitcoms ever – ‘Everybody Loves Raymond‘. He has a new show ‘I’ll Have What Phil’s Having‘, where he explores his interest in food. Rosenthal has talked about his love of Allen’s work before. There’s a specific reference in his new show, he revealed to splitsider. This isn’t a super deep cut reference, but I know you’re a Woody Allen fan, and I felt that the talking head portions of your I’ll Have What Phil’s Having, in both framing and even the color of the background reminded me of Annie Hall. Was this intentional? Completely inspired. Nobody knows who I am. They might have heard the name. They might have seen the credit. Suddenly I’m on the show, on camera, so how do I get them to know who I am? Well, how about talking to them? Well, who did that well? Woody Allen in Annie Hall. Talked right to the camera. Let’s do that. 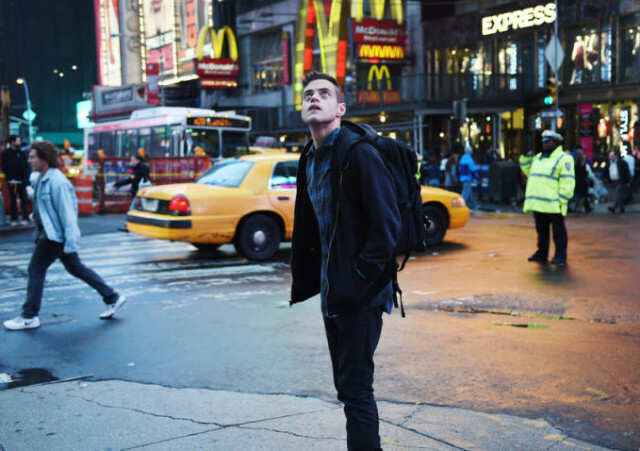 ‘Mr Robot‘ is one of the most exciting new shows this year. Creator Sam Esmail, as well as the cast, spoke on a panel about the show. Indiewire wrote up the panel, and mentioned Allen as one of his many influences. We definitely recommend ‘Mr Robot‘ – check it out. We’re looking forward to seeing ‘99 Homes‘, the new film by Ramin Bahrani. In an interview with Collider, Bahrani talks about his love of Allen, and Zelig in particular. Check out the video – the Allen stuff starts 15:48. Here’s the trailer to ‘99 Homes‘. Another young director out promoting a film is Onur Tukel, who is out talking about his new black comedy Applesauce. With Indiewire Tukel talked about discovering Allen. I love so many Woody Allen movies. That was my film education in college, just discovering and watching and re-watching Woody Allen movies. Here’s the trailer to his film.